Sergio Romero with Manchester United. 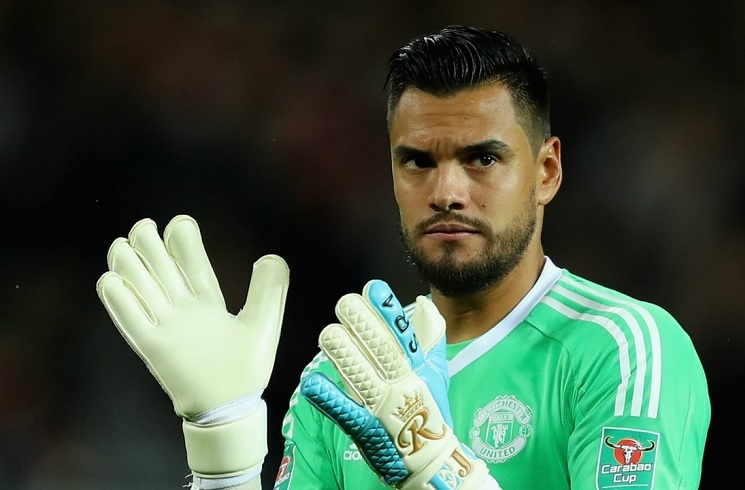 Argentina goalkeeper Sergio ROMERO has arrived ahead of his country’s two friendly matches this month and spoke about the change which is being done by Lionel SCALONI. 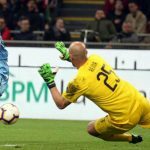 The Manchester United shot stopper commented on how coach SCALONI did not call-up a single player from either Boca Juniors or River Plate. Speaking to the media at the airport, here’s what ROMERO said in regards to Lionel SCALONI and the Argentina team. “I believe that when there are teams that are playing important things, it’s only fair that they (the players) stay with their teams and try to do their best. When you come to the Argentina national team, you have to do things at 100% and if you can’t do that, it’s best that you don’t come. 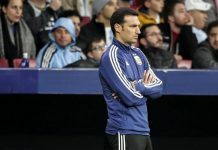 Lionel SCALONI now has his entire squad available with Paulo DYBALA, Franco VAZQUEZ, Franco CERVI, Marcos ACUNA, Agustin MARCHESIN, Gabriel MERCADO and Emanuel MAMMANA all being the last players to join the team. Don’t we lack some pace in this current squad.? ?……how r we gonna counterattack without speed…..pavon can be an option but we need other real speed option too…. Pity: can dribble and play on either side in an attack of 3, very flexible. Vazquez: hard working, disciplined and strong at ball holding. Almost no mistake in passing. Lo Celso: mainly used as 8 but was a 10 initially, a bit slow and nonchalant but creative. Defend quite well when need to. The most unpredictable player. Lanzini: like Pity, he can play on both side and even as a false 9. I am sure that he will become better with Pellegrini. I don’t put Lamela and Dybala because I see them more as half 9. Possible to have 2 in the same time, like Lo Celso or Vazquez a bit deeper and Lanzini or Pity on 1 side. No Vazquez, till now haven’t impressed for us. Lanzini, Lo Celso, Pity, Lamela all can manage good. When Lanzini returns its going to be a huge selection head ache for whoever the coach is. So many players in same positions..
As per me Paredes should have been our Enganche.. But now he more plays like a deep lying playmaker. He was once described as the heir of Riquelme. By Riquelme himself.. This is an Argentina fan club forum, we don’t follow overrated Brazilians and we don’t care about them. If you are interested in anytthing in regards to them you can freelly follow on your own. Why do you have to mention Brazilian players in this content? No one here is interested in such poor comparison. Furthermore, top 2 players in the history of the game are from Argentina. It will take Brazil some 300 years to produce such quality. Maybe. Brazilians look genuinely physically strong. May be that’s why they r not that much injury prone like the above mentioned players of us. By the way its true. Lanzini, Pastore etc seems like made of glass. And the best Argentine GK speaks. Well obviously he will praise Scaloni…Is Romero our Captain? I would rather have Otamendi as Captain than Romero. actually Romero is our captain and he is fairly captain too. 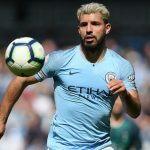 As about Otamendi he is our best defender right now but he is not good for captain. he have not leader skills because his very aggressive character. in games he need somebody to control him because he easy get angry and hit opponents. can you imagine if he will be captain in one important game who will control him? Romero is good choice. Player with most caps and cool head. 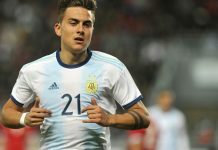 Tagliafico (was actually meant to be our Captain) or Pezzella was supposed to lead us in future, till Scaloni choose Romero.. hopefully he willnot carry on after Copa. Pavon is out for the second game of final. 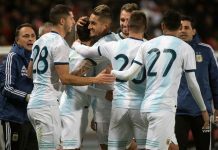 While we were talking a lot about Andrada, his Boca form, injury and rumored NT call ups his sub in Boca – Rossi is actually real competition for Andrada. But Andrada is obviously the Number 1 for Boca, and better too. Rossi is comparatively more error prone than Andrada. But he is younger so time is there. Andrada meanwhile is at his prime age. My feeling is that Pavon seems not able to surprise anymore. Maybe I am wrong but he hasn’t progressed much recently. It’s tough because there is the most competition in his position in the NT. De Paul, Cervi, Pereyra and J Correa are so much better than him on the left.